TN SSLC Results 2019: Tamil Nadu 10th Result Released on May, 2019 at www.tnresults.nic.in. Check TN Board 10th Class Result 2019 at dge1.tn.nic.in with Marks Wise By Name/ Roll Number. Students can Get TN Tenth/ X Grades Subject wise Declared. Check and Download Tamilnadu 10th Class results 2019 from Below. Tamil Nadu Board of Secondary Examination (TNBSE) has held SSLC exam in the month of April, 2019 for which scores of students have appeared. Compared to previous year this year great number of students have appeared for the SSLC exams and are looking forward to know their results. The exams were completed in the month of April and now all the students of Tamil Nadu state who have appeared for the SSLC examination for this year are very much excited to know their results. As always, the results of Tamil Nadu SSLC results will be released in the month of May. Great number of students appeared for the SSLC exam this year and all the students are very much eager to know their results. Tamil Nadu Board every year conducts SSLC board exams in the state of Tamil Nadu for the SSLC studying students and provides them with certification. TN Board has officially announced the TN SSC results 2019 date. The board has announced the results date officially. The Board is said to declare the results on Month of May, 2019. Students who have appeared for the SSLC 2019 exams can check our site for the latest updates from the board. There are lots of expectations on the students who gave SSLC exams this year and the pass percentage is expected to be high this year. The number of people who gave the exam has increased significantly this year compared to the previous year. In our site we are going to provide all the latest updates from the TN Board. Not just the official site, but also other sites will provide the results list to the students. Students can get their results in the official site of TN Board as soon as the board announces the results. Tamil Nadu Board of Secondary Examination (TNBSE) has organized SSLC board exams for the students of the state in the month of April. It is now all set to release the results of the same. It has officially announced that it is going to release the results of SSLC board exams on Month of May, 2019. The board will release the results through its official page. Students can check their results by visiting the official site of the board and by providing their particulars like roll number. The official site of the TN board where students need to check their SSLC results 2019 is tnresults.nic.in. Students are suggested to visit the official site of the board on May, 2019 by the time to be announced by the board to check their results. As soon as the results are out the results list will be uploaded to the official site of the board. How to check the TN SSLC results 2019? 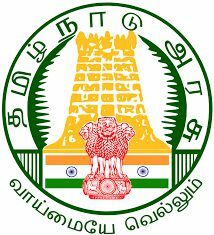 Go to the official site of the Tamil Nadu Board. In the official site of the board search for TN SSLC Results 2019 link and click on it. With single click on the results link you will be directed to the page where you have to fill in your Registration Number and Date of Birth. After filling the particulars click on Get Marks button. The results will be displayed on the screen immediately. You can make a print out of your results for future use.